As someone who likes to work out quite regularly, I understand why there are a lot of people trying to find the best mattress for athletes specifically, whether it’s for runners, weightlifters, CrossFit enthusiasts, or any other type of athlete. If you lift weights frequently or have high intensity workouts, one of the keys to your success is getting your muscles to recover as quickly as possible. That is why there are so many supplements and other products that people buy to speed up the process. Bear incorporates Celliant technology, which claims to speed recovery in athletes by increasing oxygenated blood flow. It’s more commonly found in materials like clothing and sheets, but the same principle of speeded recovery should apply in a mattress as well. 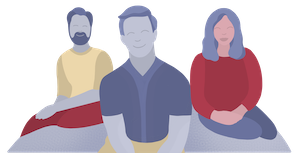 We’re not in a position to evaluate the benefits of Celliant technology (beyond anecdotally), but we do know there are some who believe it to be impactful. Aside from Celliant technology, Bear is just a well-made comfortable mattress. 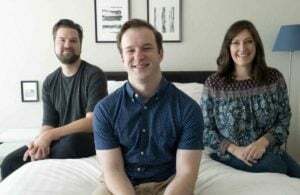 It is made by a family that also runs a chain of retail mattress stores, so they are familiar with the industry and generally know what customers are looking for. To learn more about Bear check out my Bear mattress review. 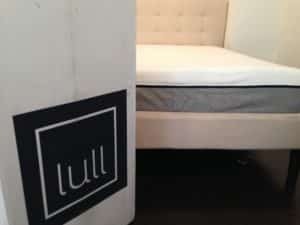 Lull is one of our top reviewed mattresses, sporting a memory over latex foam construction. 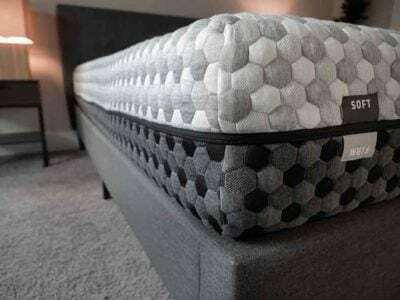 This gives it the memory foam support and comfort tradeoff while providing more “spring” to the foam due to the latex, which makes it easier to move around in the mattress. Lull doesn’t have anything specific to athletes in its construction like Bear, but we just chose to highlight it due to its reasonable cost and overall great feel. That extra “spring” may also give more perceived support to people with higher muscle density or more muscle mass. Learn more in our Lull review. 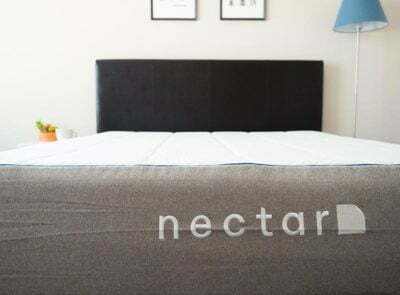 Amerisleep is a high-end memory foam mattress, but again offers the Celliant technology. High-end memory foam is preferred option for many sleepers because of its comfort/support tradeoff. Support is very important for athletes especially. If you have proper support, your spine is aligned (in any sleeping position) so your muscles can relax and focus on recovery. To learn more about Amerisleep read my full Amerisleep review. Whatever a mattress company is pitching you, realize that for an athlete you’re just after a deep, uninterrupted night of sleep. 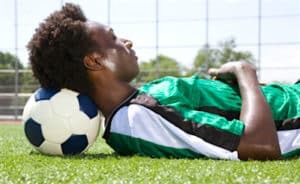 To repair and grow muscles, your body produces natural growth hormone, and in adults the majority of this production (along with protein synthesis to build muscle tissue) occurs during the deepest phases of sleep. In order to maximize recovery — for your muscles AND central nervous system — what you really want to find is sleep that is uninterrupted, where you can be in a deep sleep as long as possible. It’s in those deep sleep cycles where the muscles relax, growth hormone is produced, and the body is most able to recover. If you find yourself tossing and turning and waking up frequently at night, you aren’t getting the deep-phase REM sleep that is necessary to help your body recover from your workouts. 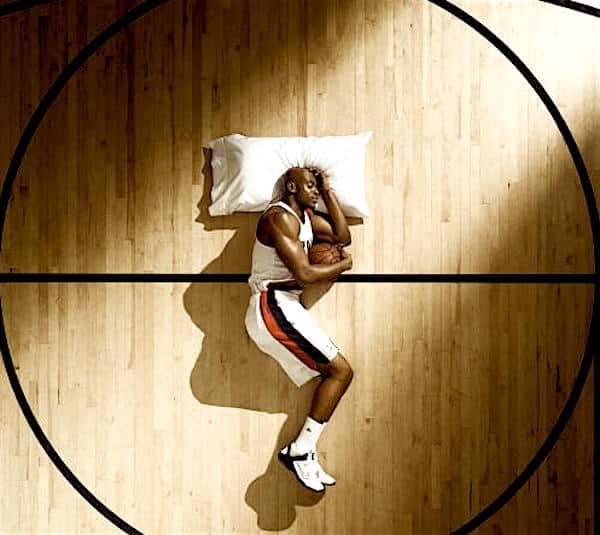 An uncomfortable mattress may keep athletes from relaxing during rest, interrupting sleep and harming recovery. 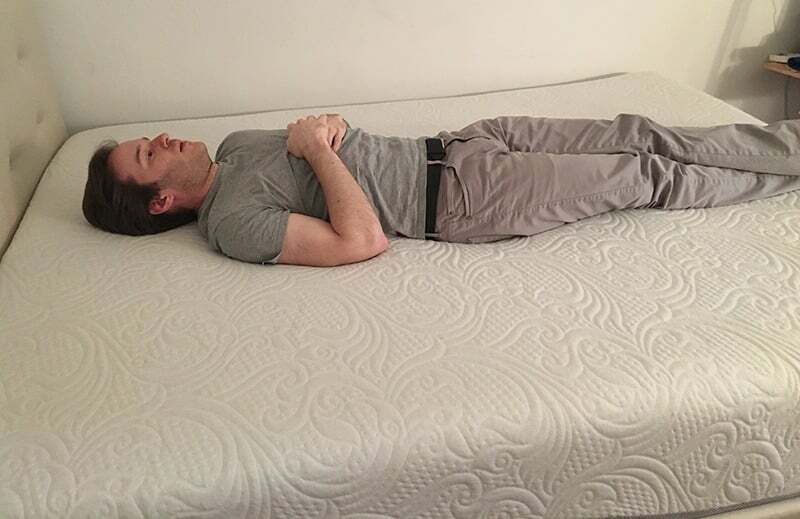 How should you go about finding a mattress that supports your active lifestyle? 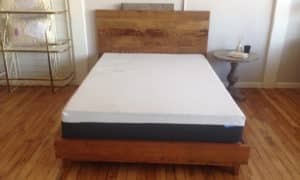 Start with the recommendations on this page, but other than that my main advice is to find a mattress that best suits your weight, sleeping style, and preferences. 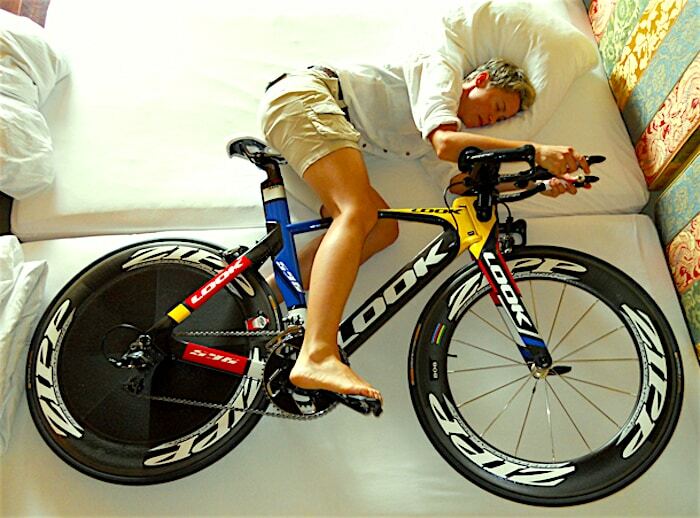 One mistake I see lots of athletes make is assuming they need a firmer mattress for more support. 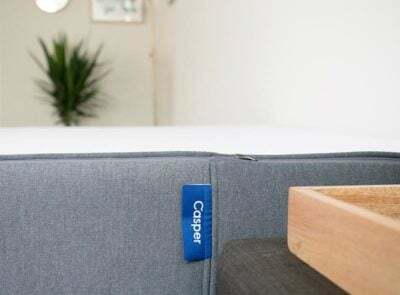 If you sleep on your side, a firmer mattress may put too much pressure on your hips and shoulder, and you could easily end up tossing and turning at night and getting poor sleep. And something too firm could cause your core to overcompensate for the extra pressure, meaning excess muscle tension while lying down. If you’ve just come off a heavy lifting session, long run, or other workout that taxes core stability, tensing during sleep will reduce the likelihood of waking refreshed and recovered in the morning. So, don’t just assume you need a firmer mattress. This sounds a bit strange, but the first step in finding the right mattress is to prioritize comfort over recovery. Overall, you need to forget that you are an athlete and just try to find a mattress that is suited to your body frame and sleeping style. That is the best way to make sure you sleep soundly throughout the night. The information on the rest of our site will help you do exactly that. That being said, athletes tend to have some specific physical traits that will affect what they’re comfortable on. 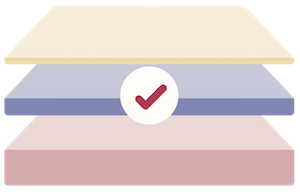 People with more muscle mass may sink deeper into a mattress than lighter, non-athletes, which means they may want to consider a hybrid mattress or something with variable layers of support. One thing I’ve noticed is that more muscular people also tend to sleep hot, so they may be more comfortable with a mattress that sleeps cooler and allows for good air circulation. Don’t just assume you need a firm mattress because you are an athlete and need extra support. Comfort is key, and consider a mattress that will help you relax and alleviate muscle tension, especially during periods of heavy or intense training. There are many different scenarios where that will lead you down the wrong path. You need to find a mattress that will help you get to sleep faster and help you stay asleep throughout the night. – I like a soft bed, but not one that makes you feel like you’re sleeping in quick sand. 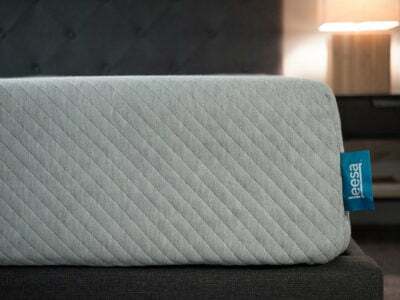 It has decent “bounce” for a soft mattress while still maintaining the memory-foam-like feel. – If you’re a side sleeper, I’d definitely recommend this. 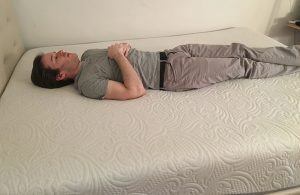 I’ve had a hard time finding a good mattress that doesn’t cause too much shoulder or neck tension, and this did the trick! Works great when I sleep on my back or stomach too.